Yes! You CAN get there! Crossing Over is designed to help you travel from your old, familiar surroundings to the new, spacious places you long to be. Speaking to leaders, as well as to those being led, Crossing Over affirms your unique destiny, specific calling and important purpose. 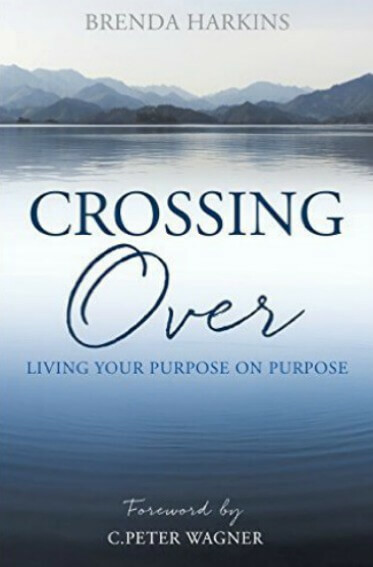 Knowing there are many roadblocks to keep you from getting there, Crossing Over provides a roadmap out of slavery, through the wilderness and into your promised land. Your destiny is waiting. Brenda Harkins is a Certified Mediator, Life and Leadership Coach, Writer, Speaker and Entrepreneur. She helps others unleash their potential, define their God-given purpose and drive their unique success. Her passion is to mine the gold in people, believing every person on the planet has a unique call and destiny for their lives. Brenda helps individuals and organizations discover and operate in alignment with their strengths, values, visions, and purposes. Conversations over coffee with old and new friends are also a favorite.